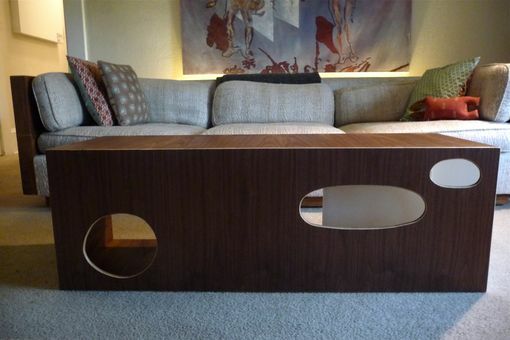 The cut out holes on the front of this cocktail table were a charming addition by the client. 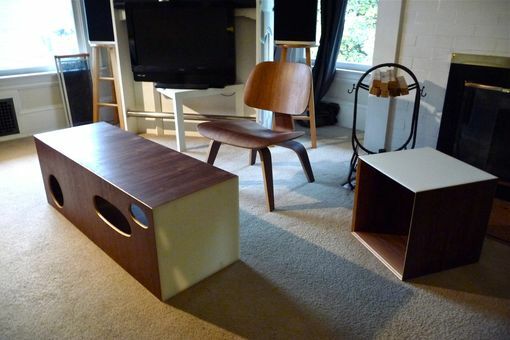 They were placed so his cat could climb in and out as if it were a feline fort. The table was designed to match a recently purchased Eames chair. 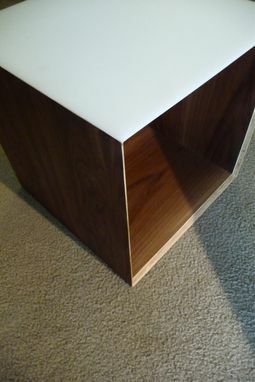 Walnut plywood was used for the body while white plexiglas panels make up the back corner. 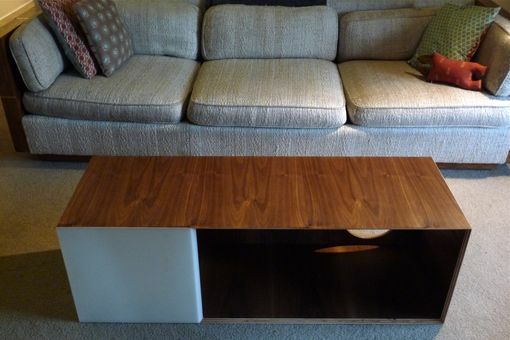 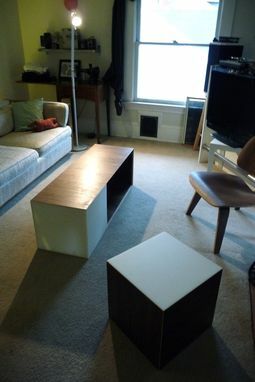 A matching side table was also constructed.